The Street Soccer Foundation has an exceptional record of achievement for the young people coming onto our courses, since we were formed in 2015. In our most recent Social Value Report (conducted externally by Kingfisher) the Street Soccer Academy course was found to be generating £8 for every £1 invested, proving the level of impact being achieved, for the benefit of the communities in where we currently deliver. Our goal is simple. We want to help more homeless and vulnerable young people across the country improve their situation and create a better future for themselves. Together, Changing Lives through Football. You could volunteer to run a (2-hour) Workshop for us during an Academy course; help out at one of our Events; help our leadership team with administrative support or Marketing assistance; it could be offering to become a Trustee or Advisor to the Foundation; or becoming a Mentor for our young people. Our Volunteers are crucial to the success and continuation of The Street Soccer Foundation. And we know that your donating time to a good cause can positively impact you too! As well as the sense of gratification gained from giving your time to people who need it, you can also benefit from many other mental and physical gains such as: Increased confidence by trying something new; Meeting new people and being part of your community; Learning new skills; Being active (depending on the role); and Having fun! And the social values of volunteering are numerous. Volunteer work also reflects well on the individual. Through these sorts of extra-curricular activities, your employer is given an insight into your personality: the fact that an interviewee is willing to donate their time and energy into helping others, without asking for anything in return. Street Soccer Volunteers work across all professional levels with various qualifications and/or a wealth of experience from previous roles which benefit our charity. Each volunteer is carefully vetted to confirm that they meet the necessary and appropriate standards of what our Foundation requires. This is crucial in ensuring that we deliver the best service and care possible to our young people. The Street Soccer Foundation is all about partnerships and collaboration. We are indebted to our amazing team and are always looking for more people to join our Street Soccer family: our Street Soccer United. If you would like to find out more about volunteering at The Street Soccer Foundation, please get in touch. Alternatively, if you’d like to stay informed about our latest news, upcoming events and volunteering opportunities you can sign up to our Newsletter. Giving back to your community to support young people, the next generation, to help these individuals afford their future success, can be genuinely heart-warming. Every penny of any donation received by The Street Soccer Foundation goes into supporting our transformational work with some of the most vulnerable and isolated young people in our society today. According to a recent University of Cambridge study, 1.3 MILLION young people aged 16-24 slept rough in the past year. 1.3 MILLION. With Rough Sleeping classed as the most visible and most dangerous form of homelessness. Shockingly, it is up by 169% since 2010. Our work helps support vulnerable young people into Work, Education or Further Training – and with your donation, it gets invested directly into the running of our nationally acclaimed Academy programme. Together, Changing Lives through Football. Payroll Giving is a way of giving money to charity without paying tax on it. It must be paid through PAYE from someone’s wages or pension. Your employer needs to set up and run the scheme. The amount of tax relief you get depends on the rate of tax you pay. Contact a Payroll Giving agency to set up a scheme. What then basically happens is you will make deductions each time you run payroll. The donation will be taken from your employees’ pay before tax but after National Insurance. The donations are then sent to your agency – who’ll pass them on to The Street Soccer Foundation, as your chosen charity. It costs a little over £50 pp per week, to run and deliver The Street Soccer Academy course for up to 15 homeless and vulnerable young people, over a 10-week period. By sponsoring a young person on an Academy programme, you can help a young person leave homelessness behind and give them every chance to improve their prospects and look forward to a brighter and more confident future. Young people sleeping rough is a shocking and increasingly visible problem. And sadly, the problem is getting worse. Their Mentoring sessions over the 10 weeks. Ultimately, allowing them to both commit to and complete, a full course, where they will hope to achieve a progression into Work, Education or Further Training. Your sponsoring a young person will help them rebuild their confidence and help teach them basics skills to be able to move on and lead independent lives. We will also send you updates about our work and how your support has helped your sponsored young person. By becoming an official Business Supporter, you will be helping us to support, motivate, inspire and develop a greater number of vulnerable young people by enabling us to organise and deliver more Street Soccer courses throughout the footballing season each year. This is the most popular way to get involved and support the work of The Street Soccer Foundation. Through our Street Soccer Utd Supporters’ Club network, we bring the business community together through the power of football to help change young people’s lives for the better. Membership starts at just £15 per month: an equivalent of just 50p a day. 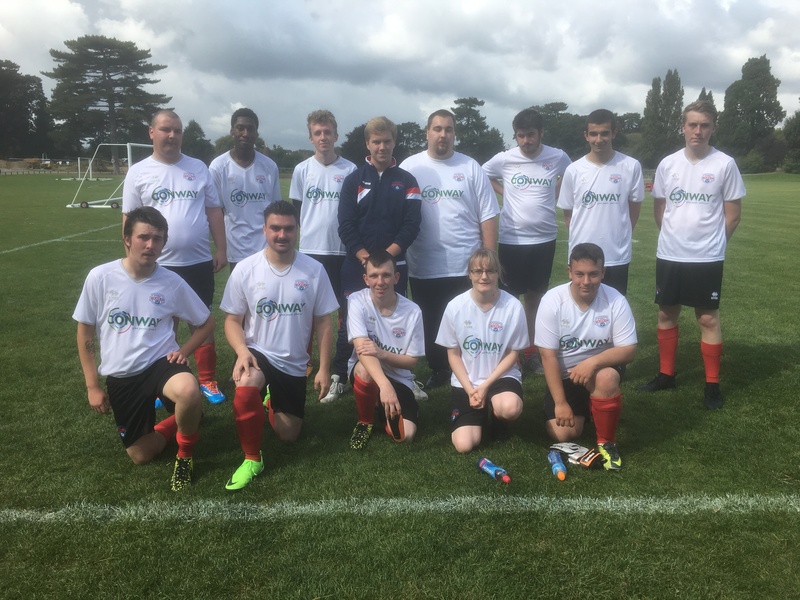 Your monthly support enables disadvantaged young people and those who are currently homeless to improve their physical and mental health and overall well-being; increase their fitness, confidence and enthusiasm for life; and to learn vital employability and work-readiness skills to help them achieve a positive social change. But charity shouldn’t be a one-way street, and we believe in offering the best possible benefits in return. Visit our Supporters section to find out what you get back. Together, Changing Lives through Football. How about staging an event for The Street Soccer Foundation? Creating a challenge for yourself and your friends and work colleagues? Give up something you love: chocolate, your hair(! ), alcohol.. etc. A Year of Good Deeds! Host a 5-a-side Football Tournament. Whatever you choose to do, thank you!